Hawa Mahal Palace in Jaipur, India. Photo by Victor Cheng. Some images have a way of haunting our day dreams and mood boards (and Instagram s), compelling us to find out the story behind the picture — like this jaw-dropping pink palace in Jaipur. Stumbling upon this image I instinctually blurted out, “Wow.” My first thoughts were: Is this impressive structure photoshopped? If it’s real, who took this picture? How do I get there? The building is called, and not only is it real, it’s easily accessible from Jaipur, in Rajasthan. 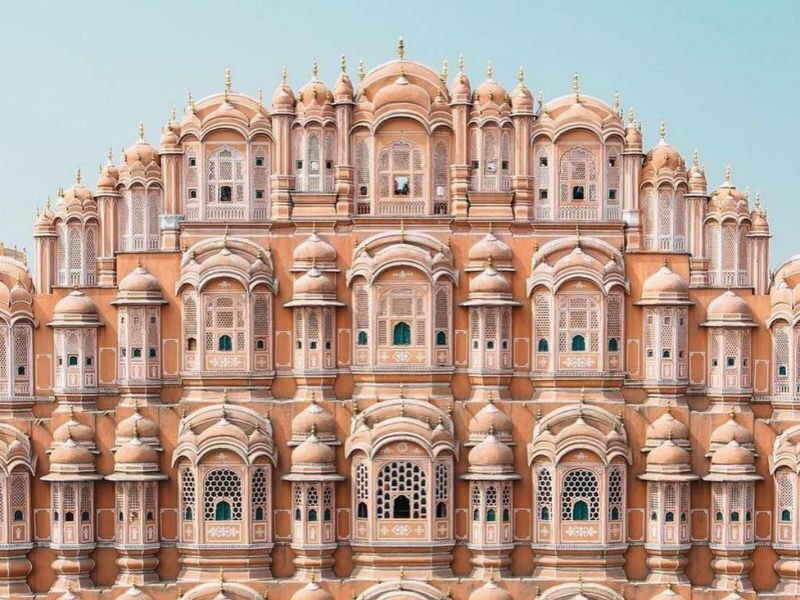 Aptly nicknamed Palace of Wind due to 935 lattice-worked windows and a cross-ventilated courtyard, the Hawa Mahal was built in 1799 as an extension to the Royal City Palace of that era. The palace is five stories and was built in the form of Hindu god Krishna’s crown by request of the Rajput ruler who worshiped him. The structure was not used as housing, but rather as a way to insure the concealment of Rajput royal ladies. (The Purdah system in place at the time meant royal women had to be secluded from public view.) The numerous small windows allowed them to enjoy the market and view royal processions without being seen. The man behind the perfectly symmetrical — and seemingly unreal — photo, , is an art director in Hong Kong and world traveler who revels in the inspiration he draws from different cities and cultures. His dedication to capturing unique perspectives pays off in this perfectly executed image. Although the original purpose of Hawa Mahal has become defunct, its facade remains a unique and breathtaking site worth the trek. From the Japiur airport: Take a 30-minute bus ride to the intersection Badi Choupad. Hawa Mahal is open for tours and visits from 9:00 a.m. to 4:30 p.m. every day.